Ed McGuinness is a comic book artist currently working on Superman/Batman (written by Jeph Loeb). 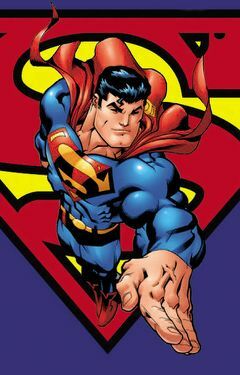 A fan favorite for his unique style, Ed McGuinness was a regular penciller on the Superman comic book title for a few years and has also illustrated a few Superman books including "Superman: The Ultimate Guide" and "Superman: Ultimate Sticker Book". The Superman Homepage would like to thank Ed for agreeing to do this interview, and for fitting it into his busy schedule. Being the loco writer type that I am, I got the email from Steve Younis that I was going to get to interview Ed McGuinness, one of my favorite working pencillers, at about 9 o'clock in the morning. They said to call, leave a message saying when you'll call back, and then call again, because he sometimes lets the message machine get things. Immediately, I felt a closer connection to the man, constantly dodging the many perils in life to get to the things I care about most, the work. 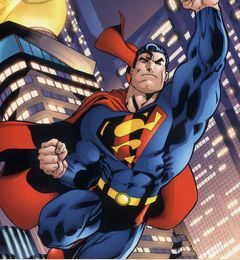 Ed McGuinness worked Deadpool, Superman, and now he works Superman/Batman, offering a style many have characterized as manga-esque, which is, to me, a little simplistic given the scope of the man's works. I talked with him for 45 long minutes, and I never once heard the unspoken "Get it over with" you experience in most interviews. All I heard was a humble, honest, down-to-Earth and cool guy who honestly cared what his fans thought, maintaining a great sense of humor. Enough prelude, on with the show! Q: Can you please tell us a little about yourself and what you do? A: Uh. I draw comics. Q: (Laugh) I know, I know. Should we just leave it there? A: Nah. Uh, I'm a father of 4, a husband, I draw comics... that's about it. Q: When and how did you become a comic book fan? A: Oh, when and how? I think, my cousin bought me some of the Electric Company Spider-Man comics. That's pretty much what pulled me in. A: And yeah, since then, I've just loved them. Q: Cool. When did you first decide you wanted to work on comic books? A: Aw, man. I don't think it was ever a conscious decision. I think I've always wanted to, you know what I mean? Q: Yeah, oh yeah I do, I'm a poet myself. I mean, that's just something I've always abeen doing, so I understand completely. A: Yeah, it's just a natural thing that, you know, even in High School I didn't have any problems, it was just like, "That's what I'm going to do..."
Q: Yeah, it's just a question people always want to ask you when you get on a panel... what do you do, what made you decide to do it, then how do you do it, and it's just a hard question to answer. Q: Let's see here, I have: Where did you go to college? Q: You didn't! Excellent! Everyone always expects you have to go to college if you're an artist, sorry about that. A: It's one of the few fields that you can just go on to, without going to school... messing around in high school. Q: People like to think that you can train yourself enough with school and become an artist, you know? A: Yeah. I mean, school would open me up to a lot more things. I was thinking about taking some classes on color theory and stuff. I understand how Photoshop works, but I want to understand more how color works, you know, expand myself that way. Q: Well, you're doing pretty good on your own! (Laughter, both sides) I mean, you're one of my favorite all time artists, and fans, they're all pretty much thinking you'll have quite an impact over the next twenty, thirty years. A: (Laughter) Wow... thank you. Q: No problem. It's true. What was your first big break into the industry? What got you in? A: It was one of those one small step into the next things... a buddy of mine was doing garage kits, and I just started doing the art on those things... (Laughs) And then I went to all of those horror conventions and hooked up with this guy who was producing, you know, real underground comics and went from there into the Vampirella stuff. It was one of those one thing leading into the next things, know what I mean? Q: Yeah, I'm kind of feeling that myself. It's like a series of small victories on the road to getting there. Q: Would you recommend that others try the comic industry? A: Sure. yeah, absolutely... There's nothing like getting up in the morning and getting to draw. I recommend that anybody does anything that they want to do, I mean, you get one chance in this life, and you know, go out and do it. Just follow what you want to do. I mean, you're gonna be happy, you know? A: That's one of my things. I wanted to draw comics, and I could do it, so I tried. Q: In your opinion, is the comic book industry still a strong business? A: Yeah. I think it's a growing and transforming business at the same time. Ten years ago, who would've known that trade paperbacks were gonna be as huge as they are? A: Yeah, exactly. It's a different industry than it was, definitely, in the nineties. I think the measuring sticks have changed. It's all how you look at things, too, so. It's the Justice League Cartoons, Batman, all that stuff, you know? A: Yeah, yeah. It's funny. One of my neighbors kids was over the other day and was like, "Draw me Green Lantern." And I'm like totally, "Which one, who do you want?" And he was like, "You know, Green Lantern! On the TV!" Like, John Stewart, you know what I mean? Green Lantern, to me, was always Hal Jordan. It's just funny how things have changed. So I start drawing him, and he was like, "Yeah! That's Green Lantern!" That's a comic book character, but he knows it from the TV. Q: It's like the amalgamation of Smallville, making the comics more towards the Smallville perspective because people watch Smallville and it makes sense to them. Q: Okay, one sec. I'm gonna check my tape really quick. Q: Funny story behind that. Last year I was lucky enough to get an interview with Al Gough and the tape died on me. Sorry. Q: Oh, thanks! I'd never abuse that, though. It's just really cool, because you and Jeph Loeb have always been very accessible to the fans and the Superman Homepage, among others, and I think part of your guys' appeal is that you listen to the fans, you work with them. oh, here's an easy one... what's your favorite comic book hero? A: My favorite comic hero? Oh boy. You know? It's funny. Normally Superman. A: I mean, he's the one that... my youngest memories is remembering just thinking... Superman's the best, you know. Yeah, I'd say Superman, because he's the one that I'm probably the most comfortable drawing and I don't think I'll ever leave that character, like say, "Oh, I'm never gonna draw Superman again." You know, I think in some form or another I'll always be doing him. A: Second favorite is probably the Hulk. I like the Hulk a lot. Q: Here's one I was really looking forward to: Who's your favorite Superman villain to draw and why? A: Oh, man, I don't even know if you could consider him a villain, but Bizarro (Laughs). Q: Yeah! You do a good Bizarro, too! 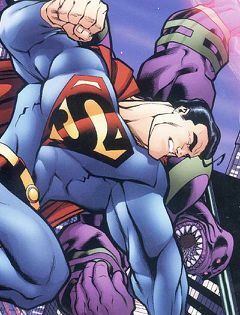 And even beyond that, just to draw, would Bizarro be your favorite villain too? A: Ah, I don't... I don't even consider him a villain so I don't. Q: Yeah. He's more like an Anti-hero. A: He really is. He's just like a messed-up Superman. I always like alternate versions of characters anyways. Like Sabretooth and Wolverine, you know what I mean? A: My favorite Superman villain. I don't know. (Pause) (Laughter) My wife said Dr. Doom! (Laughter) Dr. Doom, my favorite Superman villain. Q: Dr. Doom COULD be a Superman villain, if they'd get JLA/Avengers going down again! A: Because Doom's my favorite villain all around, he's unbelievable. But probably my favorite Superman villain, because he's kind of become a Superman villain, is Darkseid. I think he's awesome. A: Yeah, definitely. I mean, the New Gods stuff has been kind of off and on, but he's probably one of the only guys who can match Superman, you know? Q: People are constantly writing me and asking me who would win in a fight. Well there's a question for you! Who do you think would win in a fight between Superman and Darkseid? A: Oh boy... that's a writer question. A: It's all circumstantial (Laughs). The Omega Beams are pretty rough. A: Hey, I don't know. A: See, Kingdom Come Superman would destroy Darkseid, but I think Superman would ultimately win because of his will to win. Q: So what comics do you like to read? A: Man... I like Hellboy a lot. That's a lot of fun. I look at so much... I love the Teen Titans. Anything that Geoff Johns is writing is really good. Teen Titans are a lot of fun. I look at so much. I haven't really read any Marvel books, I haven't been out to the comics store (Laughs) but DC sends me comps so I read a lot of DC stuff. A: I love what Oliver Copiel is doing on the Avengers. That stuff just looks unbelievable. He really does draw good. He used to draw the Legion, which was a lot of fun. Q: Cool. Who are your major influences artistically? A: Oh boy. Definitely influenced by Art Adams. A lot of Capcom. John Byrne was big, back in the day too. Him and Art Adams. You know, it's almost like everything I see. It blows me away that there's just so much art out there that I just appreciate it, you know? Q: Oh yeah. I understand that completely. I'm always just thinking about how much art is a process of just looking around and retaining as much as you can and bringing it to the page. A: It's hard to like, I mean, I have foundational stuff but right now it's hard to say just like... "I'm influenced by... " because there's just so much stuff out there too. Q: Capcom... that surprises me, you know, but that makes total sense. You can kind of see that, but I never expected that. A: That was a huge thing back when... it's been a while. A: Exactly. You know, I used to look at the arcade cabinets and go, "Oh man, that art is awesome." And I would buy like, any video game magazine that would have art in it. And then they started releasing the strategy guides and I'd be like, oh man, buying them for the art, you know? (Laughs) And then they started releasing the books, and I was like this stuff is, I mean, I had Japanese strategy guides because they always used to have art sections in the back and I had a big collection of them. Now everybody knows about them! Q: I know! It was kind of a cult thing in the past, and now it's become more mainstream. A: It was funny, you know, because back in the day when I was doing Deadpool I was talking to Joe Madureira a lot, it was almost like, you know, almost like my secret. Q: Yeah, now everybody knows about it! That's the way of art, though, you know. Q: Then a whole bunch of people latch onto it, it proliferates, and you've gotta fight to keep it good. A: Yeah, exactly, you know? Or just move on. (Laughs) But it's hard to move on from that stuff, because those artists are just SO talented. Q: Like that Thundercats series, that was just AMAZING. Q: Yeah, that was just really close to the spirit of, you know, Capcom and I saw a lot of that in there, it was just cool. Q: So what version of Superman is your personal favorite, any medium? A: I could tell you that, I mean, I don't know, Christopher Reeve was just foundational. As a kid, seeing that, I was like holy cow, he's real. A: Yeah. He was... it's funny, I really like the cartoon version. The old Fleischer stuff, because that was just a lot of fun. The reason I really liked the Superman animated show is because, I think, they nailed him, because, like, when would read it, a script I knew Geoff was writing I'd actually hear his voice, reading his lines (Laugh). I really liked that a lot. I think that had a major influence on me. That whole animated stuff, that style. Like, any of that Bruce Timm stuff. Even balancing the way that I draw my characters comes a lot from that. The sensibilities they throw in there. It really nails, at least in my opinion, the essence of the character. It's like, wow. Q: Oh yeah. I was a big fan of the Batman cartoon as a kid. Both of the animated series brought a whole new legion of kids up into the mythos. A: Yeah. 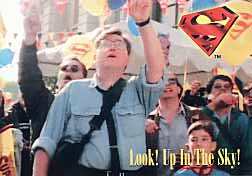 there is a... project that I'm doing in the interim of Superman and... I can't tell you what it is but it's gonna be pretty big. But, um. I wish I could tell you (Laughs). Q: You'll pick up the next arc after the arc that's going through? A: Because of this new project that is kind of in the mix, I don't know what the placement is. I don't know if we're gonna run prior to #25 or not. I know I'm definitely gonna be doing #25. Q: So you're gonna be coming back for sure, then? A: Oh yeah. I don't know if the arc is actually gonna be finished before #25, but actually, the arc will roll into #25. You know what I mean? We may be back. But this other project's really cool too. And I do actually, before that, I'm doing a Flash story for those Julius Schwarz dedication books coming out. A: Yeah, doing an 11 pager with Jeph Loeb. A: Which is, yeah, that's gonna be a lot of fun. I love drawing Flash, he's a lot of fun. Q: That leads right into my next question. What's it like working with Jeph Loeb? How is he as a person? He's always really good with the fans, a nice person, and you know, he seems like a really great guy. How is he to work with? A: Oh, he's so cranky and grouchy. No, no, Jeph is awesome. He's really, really good to work with. The thing about Jeph is like as far as writers are concerned he's really really good at keying in on what an artist's specialty is and what they're comfortable with drawing. And he will like literally twist around that, which is awesome. I'm like... he puts himself aside a lot to accommodate an artist and also, to get the most out of an artist. Like if you look at the stuff he did with Jim Lee he was like given things in the past, which Jim Lee does the best, know what I mean? He's awesome like that and he really listens to input to incorporate a lot of stuff, you know? Q: And he looks at fan reaction, too, I noticed. Like, when I used to write, when I was really green writing reviews for the Superman Homepage, he was really kind about a review I wrote where I was talking out of my rear end, if that makes sense. You know, he's just a cool guy (INTERVIEWER'S NOTE: I made the glib mistake of suggesting that Emperor Joker was a short lasting story that had no ramifications beyond the end of the story. Selah, we're all stupid once or twice in life. Only I get to be so stupid so monumentally! Back to the interview.). A: Yeah, he really is. Q: Here's a cool one. How did the position of Superman penciller come about for you? Who asked you. A: Actually, uh, Jeph did. You know, he saw my Mr. Majestic stuff and he was like, "Oh, man. 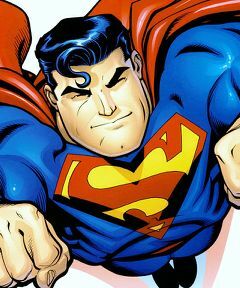 I was looking at this, I think this is Superman." He was like, "You gotta send this stuff in. They gave me the offer, to, you know, write the book." And I'm like, no way they're never gonna look at my stuff, you know what I mean? A: Because the books had a particular look about them for the longest time. Q: Well yeah, like 6 or 8 years or so. A: Yeah, so I was like, there is no way, so I just like, as a joke, just sent in, you know (Laughs). But next thing you know... of all the books, I couldn't believe it. You know what I mean? A: Yeah, totally. It can happen, it was just... that was really... that was really strange. The next thing I know, I'm on there. With Jeph and all. Q: How much of the "new" Metropolis did you create, the Y2K version? Did you create any one particular spot? A: (Laughs) I created the brand new telephone booths that I think were drawn, like, twice. A: And then I think... I did design the rail whale and named it. That big tube train. Q: Yeah, that's become a pretty big fixture, especially with the Metropolis series. A: That was my contribution. I actually got to draw one of the very first establishing shots of the city, too. A: You know, I may have established like, a, I mean, I had no designs preference (Laughs) at least to the designs of the sensibilities of the city. A: There was the one splash that I did in my first issue where I think in #154 that was like a double page spread of the city. I think that a lot of stuff came from there. But like, Stuart Immonen designed most of the stuff, I mean, he did a lot. Doug designed a lot too. Q: Okay, you've kind of already answered this one... other than Superman/Batman, is there anything we can look forward to in the coming months. A: Just a bunch of covers, and stuff like that. You know, I have a bunch of covers and stuff because like, in the meantime in the weeks between I have a bunch of Teen Titans covers and there's a Mr. Majestic mini-series I did a bunch of covers on that. So there's a bunch of covers. Some stuff are, you know, small press guys. I did a cover for Johnny Raygun. Did a cover for the Cannon Busters, my friend LeSean's book that he's putting out for Devil's Due. Yeah, just a bunch of covers. Q: Cool. Yeah, that's just a little thing, I mean, covers, at least to me or the average fan at least, are cool to be able to pick up from our favorite artists. A: Yeah, they're fun. A cover image is probably (Laughs) the most fun you can have. Q: Yeah, I can imagine. A: Especially for a book that you don't normally draw, because you get to play with the characters, you know, and not have to do paneling! (Laughs) That's where the real work's involved. Q: Yeah, I imagine that's why when you send in the submissions they want the pages, not the nice poster spreads. A: And not that that isn't fun either. I mean, when you get into a rhythm and just start breaking the pages down, there's nothing like the feeling of knowing that you know, you've successfully brought a person from point A to point B. And I try to, you know what I mean? Q: Yeah. And you know, I'm just guessing on this, but it seemed like you had that kind of fun with Superman/Batman #6, getting that one from start to finish, with the pacing. A: Yeah. There was a lot of fun stuff in Superman/Batman. The more you do it, the more you understand the subtleties, you know what I mean, and there's so much to learn. A: It's just a lot of fun. Q: Will you be working on any Superman related project other than Superman/Batman in the future, or rather, do you have any project that you would like to do? Some project that you haven't, you know, found yet? A: Oh, boy, I don't know. Q: Bad question? You want to skip it? A: Oh, no. There's a lot that I'd like to do. It's just more, you know, the time frame. I'd love to do a follow up to the Steve Rude Superman VS. The Hulk thing. Q: Cool! Oh, man, that would be something else. That would sell out. Q: Definitely. Maybe I'll start a grassroots online petition for that! A: I'd love to do it, I mean lots of things I'd love to do, but I don't know how DC and Marvel are getting along. I don't follow politics, you know? Q: Oh, God. I'll start a drive. (Laughter) Watch me! A: Go ahead! I'll back you up. Q: 456 pages! Cool. (Laughs) (INTERVIEWER'S NOTE: I'm dead serious! It's on! Collecting signatures as we speak. ;) ) Oh, here you go! Have you altered style at all between drawing Superman and Superman/Batman? A: Um, I think it just naturally happens. I don't think it's part of any conscious effort. For me, the more patience you get, the more things you're influenced by. For me it's like I really started getting into, like, the old school guys, Buscema and Kirby. That stuff. And I think you see a little more of that influence. Q: Yeah, I noticed the style got a little more, well, not dark as much as more defined. A: Yeah, yeah. It's just whatever you're absorbing, you know what I mean? And of course, when you deal with different characters, it brings different things out of you you wouldn't expect, you know? I don't think, for me at least, it's ever been a conscious decision. I just draw what I can do. It changes, you know? Q: What does Superman represent to you? A: I mean, that's really it. He's pretty much the first superhero. The fact that his costume is the primary colors, it comes from red, blue and yellow, and you know, all superheroes pretty much come from him... and Batman, you know? A: He just is an icon of you know, what to do? Q: Here's a question I didn't know about, from one of our writers: You're currently working on a co-created superhero team action/comedy animated project with screenwriters Robert Bolivar and Lou DeSantis, which is currently being pitched about Hollywood. Can you tell us about that? A: Yeah. It's Holiday Heroes, and it's something that they approached me to do the design on and stuff, and so I did, and I think they're actually going to be putting a comic out on Funny Pages Press where we have covers, you know, stuff like that. Two Disney animators are actually going to be drawing for it. A: And another thing, if I can, I'd like to pop Artxilla.com art web site. Q: Sure, I'll pop it for you, no problem. A: Yeah, cause it's kind of like an online studio with me, Sanford Greene, Keron Grant, LeSean Thomas. Q: Sure! I'll send people that way. A: Yeah, because the forums have been up, and there's a lot of good art. There are a lot of competition. We give original art away, we get video games away. We have like, 700 members on there already. Q: Who's your pick for Superman in the new Superman movie? If they don't, you know, make it with Beyonce Knowles as Lois Lane? (McGuiness laughs) You hear that rumor? Q: Oh, God. We're living in like, some kind of fan hell here looking around and hearing rumors of Beyonce as Lois Lane. A: -but there is somebody outside of Hollywood that I think... I don't know about the acting, but at least as far as the physical presence with a little bit of black hair would be Superman, is Howie Long. Q: Howie Long, that makes some sense. A: I mean, have you looked at that guy? Q: Yeah, he's a big dude. A: I don't think anyone can beat it. He was the first, and probably, well, that defined him as an actor. Everybody looks at him and says, "Superman." You know, he was never able to make it out of, I mean, honestly a good actor, but he's sorta become Superman, you know? Q: Yeah. Anyone. Anyone would be held up to him. A: I don't know about Howie Long, but if you're talking physically looking, that guy could fit the bill for Superman. He's the only person I can see. Q: Here's the dangerous question... what do you think about the Superman Homepage? A: I like it. It's really cool. I think what you guys are doing is real awesome. It's fun to just go up there and see what's going on in the world of Superman. Q: Do all the creators go there? I mean, we hear that creators go there, and then people tell us that they go there, and then it's kind of hard to tell who's there, who's not there, and that kind of thing, you know? A: I go there every once in a while, see, cause I'm not an online guy. Q: What's it like working with Eddie Berganza? A: He's really, really cool, understanding, and laid back. Really cool. He's the kind of editor that will say here's your script, here's your deadline, go ahead and do it. I think I work the best that way because you're able to just really focus on what you're going without feeling like you've gotta be rushed, getting stuff done. Yeah, he's another one, he's telling me I should write, and I'm like. (Laughs) Yeah, he's really cool. So is Tom Carlin. Tom Carlin, he's assistant, but I think he actually almost has official editorial status. He's just really really good. Q: Okay. Now we have the personal questions. Do you have any bad habits? A: I used to bite my nails, then I had my wisdom teeth out. Q: Oh, yeah. I've been there. Last year. A: Yeah! My teeth is, my teeth are still really, off and weird, so I don't bite my nails any more. I still have no feeling in my bottom lip from like a month ago. A: Yeah, it's starting to come back, the nerves are coming back, but it's irritating. You'll be talking to someone and there's drool coming down your chin. Q: Nice, a little Manchester Black action. Who would you most and least like to sit next to on a long airplane flight? A: Probably most like to sit next to Jesus Christ. Least... probably Satan. Q: Or with one on either side. You DON'T wanna be on that plane! What's the one thing you can't live without? A: My wife. Without her I'd be a wreck. I wouldn't get anything done. Q: If you were down to your last ten bucks, how would you spend it? A: I have no idea. I don't know. I don't even know. To be honest, I'm the kind of guy that would not get into that situation. I'd do my best to avoid it, if I had to. Q: That's basically all I have I guess. Thanks, I really appreciate it. A: Like I said, call me!